Gosh, the new Windows 8.1 Start screen is so gosh-darned friendly! And you know what? It is. Microsoft’s pulled some of the best features of Windows Phone out into its new revision, and taken a step forward. 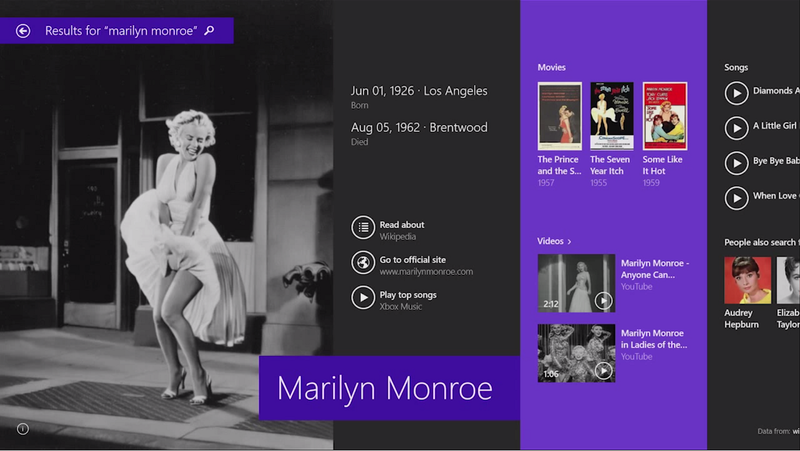 Purists may still dislike the fat, space-sucking fonts and live tiles, but there’s an indubitable appeal to displaying pictures of one’s loved ones when the PC is not in use. Jensen Harris of the Windows User Experience team outlined some of the new features in a video the company posted to YouTube, and which we’ve embedded below. 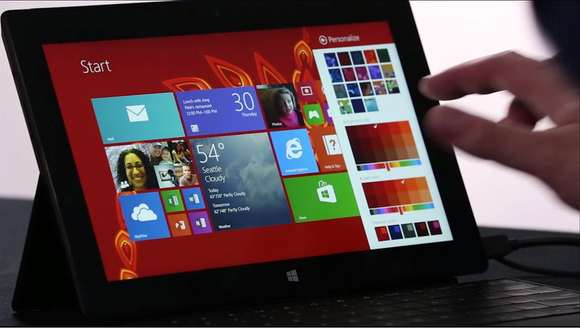 For more explanation of the Windows 8.1 consumer-focused features, see our previous coverage; Microsoft also tipped some Windows 8.1 features that should appeal to businesses, too. 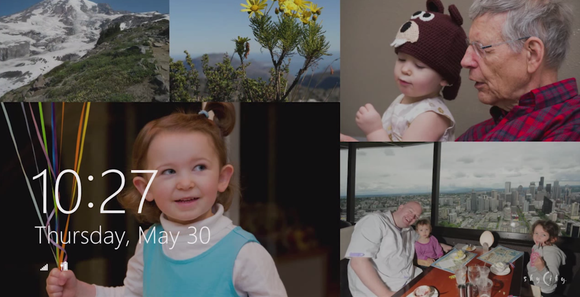 According to Harris, the new lock screen automatically pulls photos from your PC, your phone, and SkyDrive. Granted, you could end up showing the world (and your coworkers) some Hangover-styled shots, but in general I’ve been very impressed by how the Facebook app for Windows Phone already does this. It’s a small touch, but for those who are still unfamilar with Windows 8, this could be a real winner. 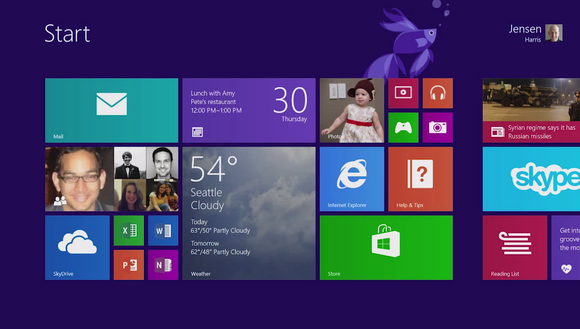 Microsoft also resized the tiles that are available within the Windows Start screen to include larger and smaller formats. It’s hard to see how this will make much a difference to power users, but those who want to pin more apps to the Start screen (without having to scroll, scroll, scroll) will probably find this useful. Harris also notes that the larger format could display several emails or a whole day’s worth of appointments. Note that Microsoft’s video doesn’t actually show off anything in the Desktop, so you don’t see anything in regards to the new Start button there. 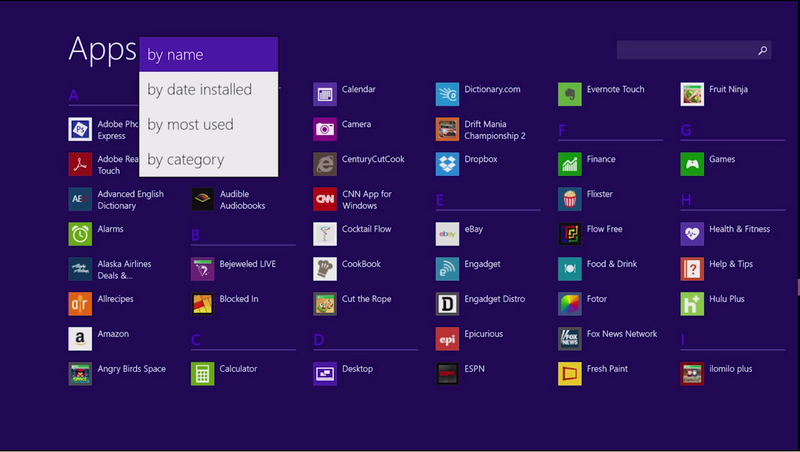 Microsoft has also revamped its “all apps” screen to better organize the, er, list of apps. Again, it’s not Windows 7 Start menu; there doesn’t seem to be any way of reorganizing the apps in folders, for example. However, selected apps can be pulled out of the “all apps” screen and pinned to the Start menu in groups, kind-of sort-of recreating the Windows 7 functionality. This is going to strike some as a very artificial limitation, including me. For many of us used to embedding dozens of apps and/or games, there’s still the possibility that you’ll forget the name of the one you rarely use, and be forced to go hunting through the list of apps to find it. The ability to add a “other utilities” folder (one that wouldn’t have to necessarily clutter the Start screen) seems like it would be quite useful. Another handholding feature for the newbies, Microsoft has also said that the compamny will allow users to change the background color of the Start screen. In a nod to the sort of full-motion backgrounds that now appear on some Android smartphones, Microsoft also said that it would add a few quasi-interactive, moving backgrounds, such as a dragon. 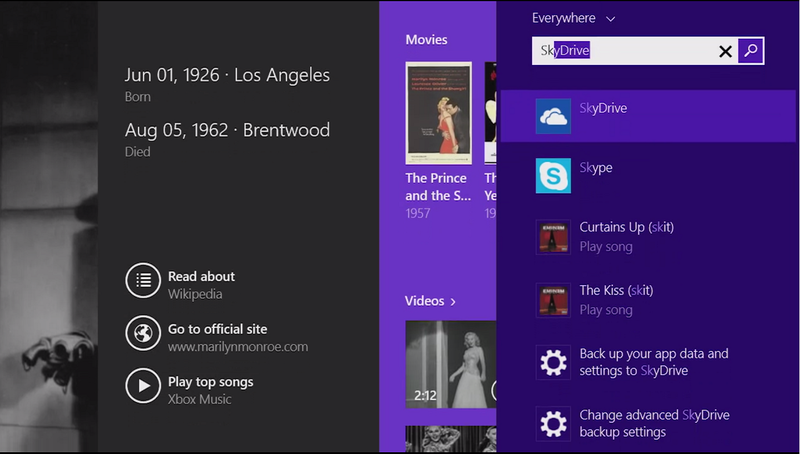 And in a nice touch, the Start menu will now be able to share the same background image as the Desktop. Sadly, this may be the most important component of the video. Simply syncing the background image of the two UIs goes a long way to implying that they’re part of a cohesive whole. If I were Microsoft, I’d be tempted to make this the default option. Microsoft has revamped the Search app to give results a more “app-like” feel, with a flood of text, images, related searches, and other content. Frankly, if you’re used to living within a Google text-based environments, the gush of multimedia is going to feel a little overwhelming. Basically, if you’re looking for an answer, it’s not clear that the revised Search is going to deliver what you’re looking for. But if you’re performing a topic search on a celebrity or band, the revamped search may offer a lot more what you’re looking for. Microsoft has also revamped its own internal search, so that the Web is better integrated with search results. Put another way, simply inputting a few letters into the search box will pull up internal apps and settings as well as external search results. It sounds a little overwhelming, but maybe it will work better in practice. 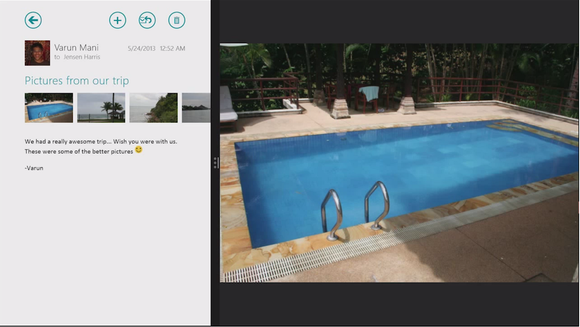 Virtually every app within Windows 8.1 includes SkyDrive integration, allowing users to save their files in the cloud. However, users also have the ability to save their files locally, and not on SkyDrive, for additional privacy. To this day, I really have no idea why Microsoft continues to be so proud of this feature. Yes, two apps are running side by side, which may be a parallel programming trick that I’m unaware of. But sizing windows next to each other so that the results from more than one can be viewed simultaneously has been a feature of Windows, since, well, Windows. Larger screens will support four apps running at once. Hurray! One nice feature: photos displayed using the Photo app can be edited somewhat within the app itself, making them appear more attractive. 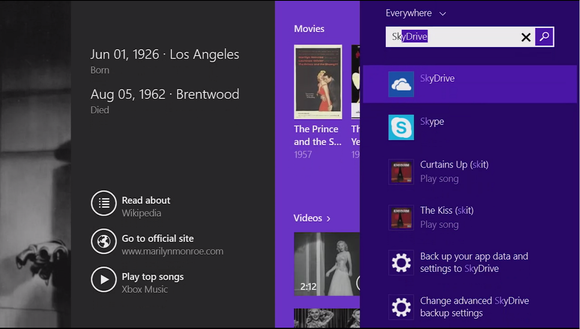 In all, the redesign and tweaks Microsoft has showed off are neither new nor revolutionary. But they represent some pretty, cosmetic upgrades, and there’s no reason that they shouldn’t be well received. Remember, the preview version of Windows 8.1 rolls out on June 26. ZDNet reports that users will have the option to upgrade to Windows 8.1 via the Windows Store; however, if you do, you'll also need to reinstall all of your Desktop apps once you move to the final, RTM build.